Hai everyone Robarm again! 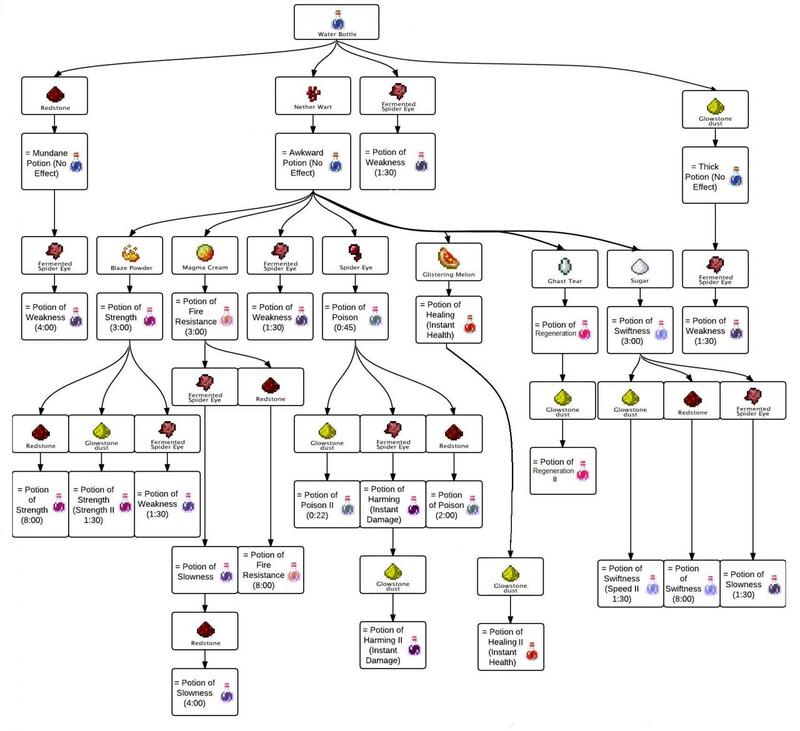 (RobZero ingame name) Just wanted to show you this potion flow chart for Newbies. Once again i do not own this. i merely found it on Minecraftwiki.net, thanks!! the base most best ingrediant is nether wart. the others make mundane which in not very useful. akward potions are best to make better. glowstone dust also upgrades some potions to level two. At least you gave credit. The potion chart helped me alot. Thank you. oh btw how do i change the picture of my profile. urs is batman how o i change mine? RobZero for ELITE! (dont bother with the body just look at the pic. How to Reduce Lag and Speed Up Your Minecraft!